Spring is on it’s way! The daffodils are starting to pop-up with their golden sunshine heads, newly born lambs can be heard bleating and the dawn chorus wakes you up in the mornings. However, we admit, the rain clouds are still around and the temperature isn’t exactly hot. So what can you do whilst staying at The Falcondale. 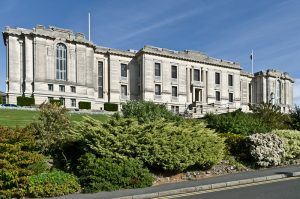 We’ve put together some ideas of places to visit and things you can do within easy driving distance from Lampeter. Located within Ceredigion and only 2 miles from the border to Carmarthenshire and just 25 miles to the border of Pembrokeshire. 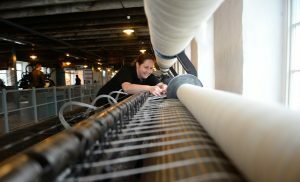 Dre-fach Velindre was once the heart of the Welsh wool industry and is now the place to go for everything woolly. They take you from the fleece off the sheep through to the finished product and show you how methods and industry has changed over many years. A free entry museum with a sympathetically restored listed mill and historic machinery. Look out for workshops and specialist talks throughout the year. All you need is under cover, with a café, shop and viewing platform for the mill itself. Guided tours of the library are available Wednesdays at 2.15pm, we would recommend booking your place as they can be sold out. You will be escorted around the library and introduced to its history and most noteworthy assets. There are permanent and temporary exhibitions on display for you to wander around including the infamous Nanteos cup – thought to be the “holy grail”. Located in Penglais overlooking the university town of Aberystwyth spend time in the café overlooking Cardigan Bay in the distance. 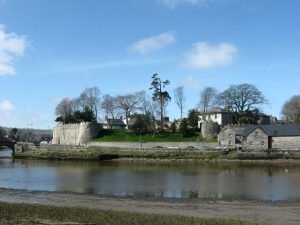 Cardigan Castle includes a Georgian Mansion and grade II listed garden. 900 years of history is at hand to explore and discover at your leisure or with a guided tour available at 2pm each day of the week. Permanent and temporary exhibitions are located at the castle with interpretation panels and multimedia technology. Being that the castle is located in the town of Cardigan you could combine your visit with a stroll around some of the unique traditional shops. An organic distiller of gin and liqueurs located near the town of Llandysul. Tours only happen on Wednesdays and Fridays at 3pm, and they suggest you phone and book. 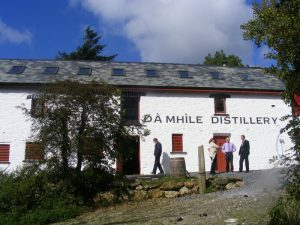 It is well worth planning and taking advantage of a tour, as you are taken into the distilling room itself and get to taste the varied range available. Located in its present location from 2012 Da Mhile have produced an orange liqueur, botanical gin and seaweed gin to great acclaim. We would also recommend visiting Teifi Farmhouse Cheese as they are located at the same farm! Found on the Lampeter to Aberaeron road, Llanerchaeron is a National Trust property which was self-sufficient in its heyday. It has its own farm, walled garden and lake that sustained 10 generations of the Lewis/Lewes family from 1634 to 1989. The early John Nash Palladian style Georgian villa is particularly interesting, with its simple looking exterior hiding complex design features including a hidden courtyard towards the rear of the property. Look out for events such as their Christmas fayre, held on the 1st and 2nd December 2018. 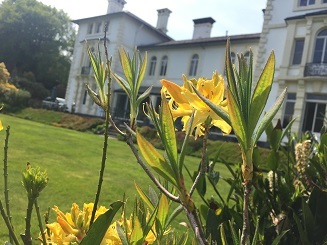 On the A48 (an extension to the M4) it’s not exactly on our doorstep but has been included as a way of extending your break by visiting on your way here or on your way home. Home of the largest single span great glasshouse in the world and houses the largest collection of Mediterranean plants in the Northern hemisphere. You’ll stay dry in here as you explore the winding paths around six distinct areas of rare and some endangered species. Within the double walled-garden you’ll find the tropical glass house which plays host to a kaleidoscope of colourful butterflies – don’t miss this gem during your visit. 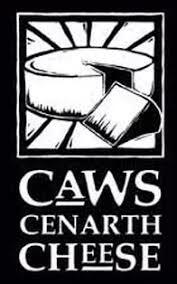 Don’t just order your speciality cheese on-line, visit the producing process in person at Caws Cenarth’s visitor centre near the village of Cenarth. It’s best to go between 11am and 3pm from Monday to Friday to see the actual production, however the tasting of the cheese takes place during their normal opening hours. Their delicious cheeses are showcased on The Falcondale’s own cheese boards and have won Supreme Champion in the British cheese awards. Rest assured that you will see the very highest of quality from this brand.